Reach 100% and Win Prizes! Please send your PTA Annual Contributions by 10/31. High School: Any Advisory to reach 100% receive Out Lunch Pass! 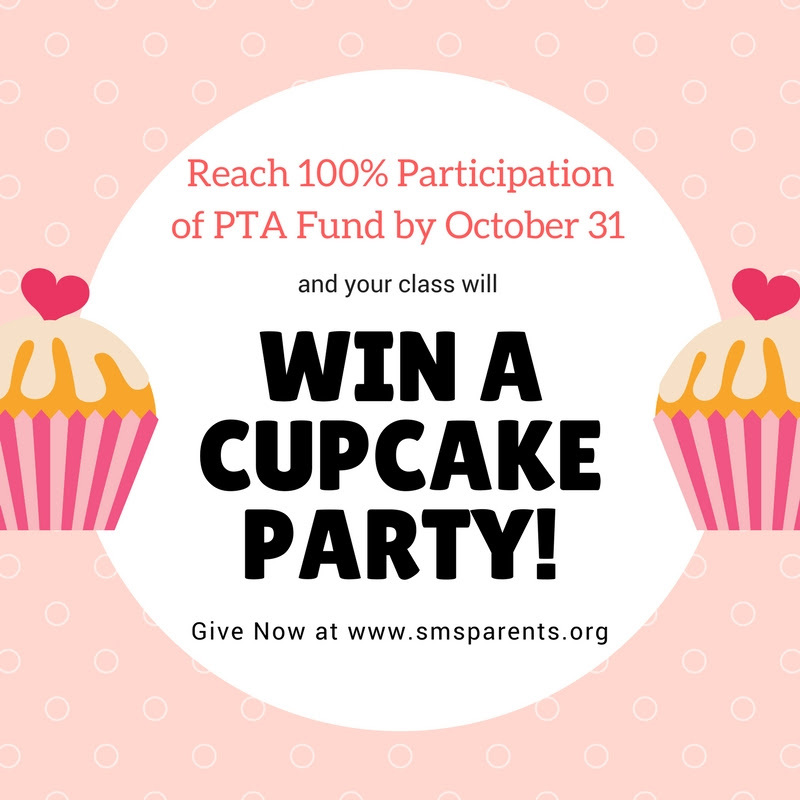 Lower School: First class to reach 100% receives Cupcake Party! 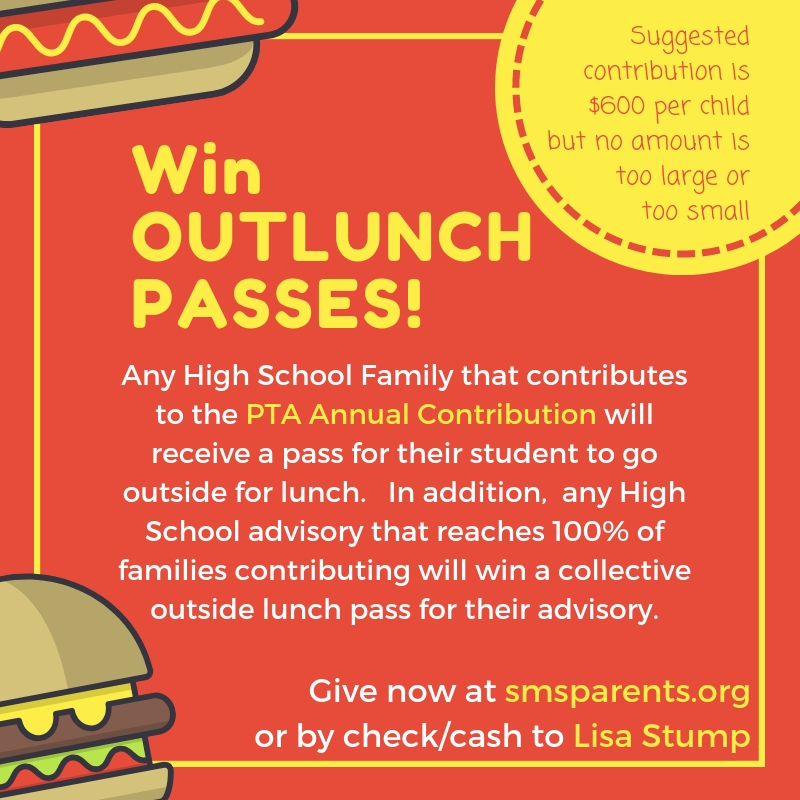 SMS PTA Contribution – Give Today!